On September 22, 2015, Top Gear Philippines uploaded a video one of its subscribers, Dianne Manansala Versoza, had submitted to them. Dianne had written that she was "flagged down supposedly for speeding on Commonwealth Avenue." 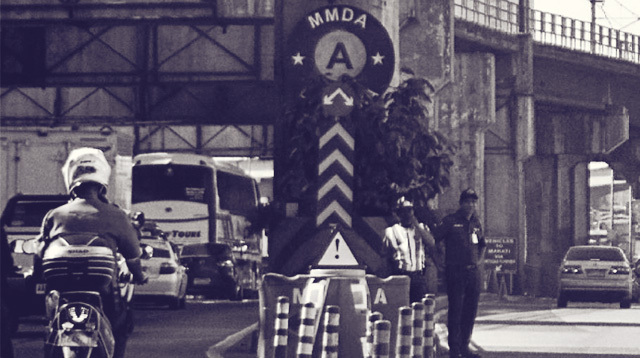 She had recorded her conversation with the MMDA officer "because [she] knew where this was leading to." Can you guess? Of course you can. The nine-minute video showing the officer asking for a bribe became viral on the Internet, being viewed almost 900,000 times and shared 13,600 times in less than two months. And if a traffic enforcer asking for a bribe isn't enough to make us facepalm, the response of MMDA chairman Francis Tolentino will. While he said he already sacked the erring enforcer, the chairman stated on radio dzBB that Dianne had violated the law when she recorded what had transpired. "Sa ganung entrapment ay may violation din po ang nag-entrap. Mayroon tayong Anti-Wiretapping Law." To him, there's a "gray area" when it comes to such an evidence. Did he forget that in December 2014, after suspending a traffic constable for an extortion incident, he actually encouraged video recording? "I am encouraging motorists and the general public as well to use video cameras to record and document perceived illegal or unlawful activities by our employees or by anybody to help attain a disciplined society, and also for evidentiary purposes." Back to the "gray area." There's really none. If you read R.A. 4200 ("an act to penalize wiretapping"), and as pointed out by JJ Disini, an attorney from the University of the Philippines College of Law, the recording is NOT illegal if the recording was taken in a public place and a public servant is involved. Netizens who know that MMDA chairman Tolentino is a lawyer bashed him for not knowing the law or understanding it well.